Today, I bought an expensive software for less than 20% of it's original price. Thanks to eBay. I'm already using the software; needed it for my business operations. The experience was so gladdening I decided to bid N30,000 for an iPhone 4 32GB phone. If I decide to not use it I can sell it for over N50,000 on Konga marketplace. 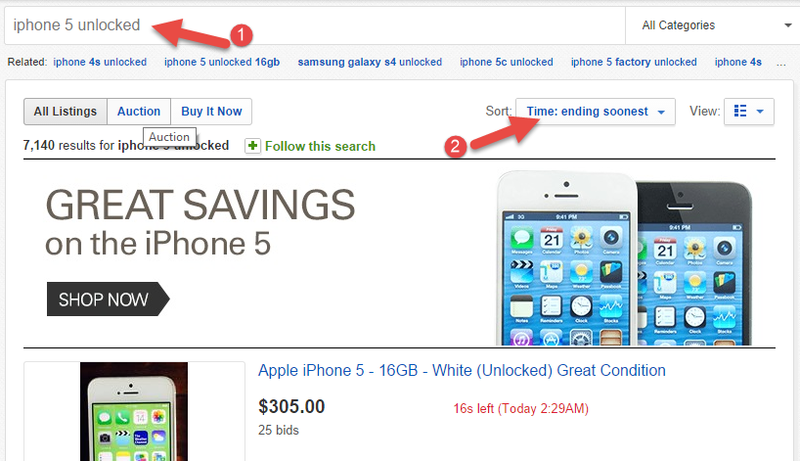 The deals on eBay are so great you might not want to buy gadgets from a Nigerian store again. Then when combined with Viabox.com you can begin your own trading business. Buy super cheap on eBay, have Viabox bundle and ship everything to you and sell to friends, family and strangers. Best part of all, you can get almost anything on eBay. Especially, consumer electronics and phones. And very cheaply. eBay is now so robust that you can't be scammed except you decide to not report the seller to eBay and claim your refund. You'll see deals that will make you forget about Computer Village. Thanks for sharing. i was shocked to discover that one can really get good and quality stuffs at very cheap prices on ebay. however, i think viabox's fee is too much on the high side. imagine one having to pay $158 for a 3kg electronic appliance. i think there are other freight forwarding companies that are way much cheaper. i will let you know, if i find any. I recently used myus.com They seem cheaper than Viabox but charge an initial account opening fee.